Earlier this month, CNN released its Top 10 Heroes of 2013 list, shedding light on average individuals attempting to make a difference. This year’s winners partake in a wide range of causes such as providing shelter for disabled veterans and helping inner-city children stay off the streets. Each hero is rewarded $50,000 for their philanthropic efforts and will be honored at “CNN Heroes: An All-Star Tribute” airing on Dec. 1. No matter how the World Series turns out (preferably with a title), the success of the Red Sox is arguably the best sports story in Boston this year. Following their worst season since 1965, the Sox had a strong 2013 season with 97 wins to only 65 losses. They became the 11 team in major league history to go from worst in the division to first the following season. They finished this year tied with the Cardinals for the best record in baseball. What a year for the team! With the mayoral election coming up next week, it’s only right to salute the man who has kept Boston in check for the past two decades. As Thomas Menino enters his final months in office, the 70-year-old Boston native remains a popular figure amongst city residents. Some of his accomplishments include improving the Boston Schools system and founding the Innovation District. And the little things, such as fixing potholes and revitalizing neighborhoods. Many are sad to see him go but he felt it was time to pack up the cleats. Mr. Menino, we’ll miss you! The unthinkable occurred at this year’s Boston Marathon. A day of celebration and triumph quickly turned into a tragedy. Two bombs exploded near the finish line, killing three and injuring over 260. Instead of fleeing the area, many bystanders ran to helpless individuals injured on the ground to keep them calm and ensure that help was on the way. The help came in the form of first responders. Their primary goal was identifying injured individuals and getting them to hospitals as fast as they could. Four days after the attack, the Watertown Police Department along with the Boston Police Department killed Tamerlan Tsarnaev, one of the suspects, and captured the other, Dzhokhar Tsarnaev. On behalf of Boston and the state of Massachusetts, I would like to salute all the heroes, recognized or unsung, of the Boston Marathon. 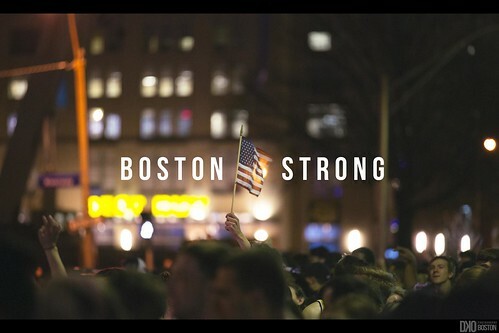 Boston is a tough and resilient town, and so are its heroes.